Have you heard? media update has a new audio feature! If you’re too busy to read an article, but you still want to know what’s going on, look out for the brand new audio feature on media update! We know that life is busy, and that often you’ll see an article that catches your eye, but you don’t quite have the time to sit down and read it. We don’t want you to miss a thing, so we’ve created an audio feature just for you. 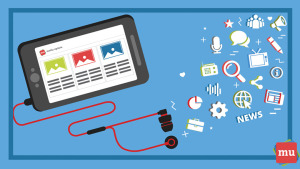 Look out for the play button at the topic of an article that indicates there is audio available. Then, simply click on the button, sit back and relax while the article is read out for you. STILL don’t have the time for a quick listen? Don’t worry! There’s also a cool new playlist function where you can download multiple media update stories to listen to when you have the time. If you’re struggling to find a story you listened to previously, all you have to do is sift through the nifty history page, where you’ll be able to see all the audio you have listened to before. Cool, huh? 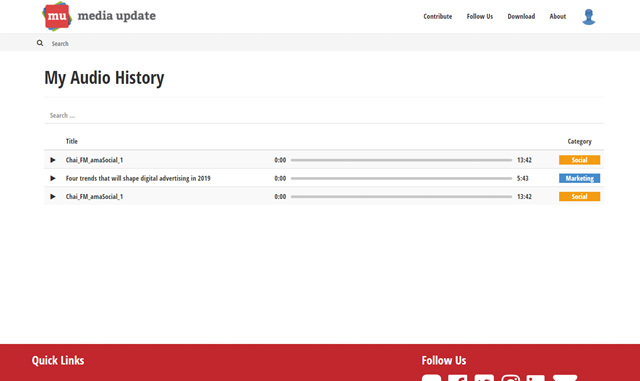 Just keep in mind that all visitors to the media update site will have access to the audio function, but only users that are logged in will be able to reap the full benefits of the playlist function, suggested audio clips and personal audio history. Are there any other features you’d like to see on media update? Let us know in the comments section below. Ready to test out the new audio feature? 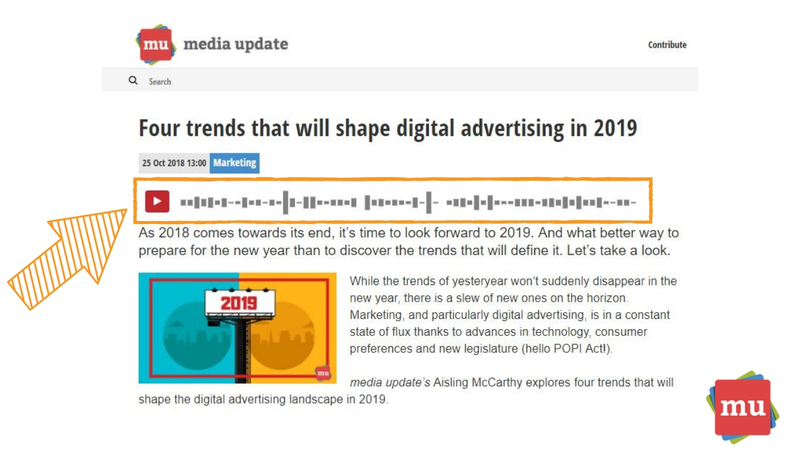 Check out Four trends that will shape digital advertising in 2019.